Home Mattress Basics Which bed is best for my health issues? How do I know which bed is best for my body and health issues? We already know how important sleep is to our health. Studies have shown that deep, restorative sleep improves memory and mood, helps the body curb inflammation, encourages better weight control and may even help you live longer. Besides promoting emotional well-being and healthy brain function, sleep plays a vital role in those who suffer from chronic pain or specific health issues. Researchers have discovered that a good night’s sleep can actually make you hurt less – yet another compelling reason to invest in a good mattress if you continually wake up tired or in pain. 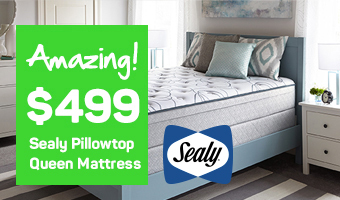 The sleep specialists at Mattress World Northwest, Oregon’s premier mattress retailer, can customize bedding selections based on your individual health concerns. Lower back pain, herniated discs, shoulder injuries and other ailments call for a particular mattress set up that can alleviate pressure points and ensure quality REM sleep. With 11 convenient locations in Portland, Canby, Clackamas, Salem Wilsonville, Beaverton and Gresham, our showrooms feature the latest bedding collections by leading manufacturers. Depending on your injury or particular condition, your current mattress could be having a positive or a negative effect on your health and sleep cycles. For instance, the throbbing pain of aching joints is only exacerbated at night if your mattress doesn’t offer proper spinal alignment. Without a perfect balance from head to toe, you’ll experience excess stress on your hips, knees, neck and back. Achieving the all-important neutral spinal alignment may mean switching from a traditional innerspring mattress to a memory foam or latex bed that has been engineered for this very purpose. Another consideration is your body type and shape, which will dictate the kind of support needed in a mattress. For example, if your hips and waist are proportionate or in a straight line, a slightly firmer surface offers better support, whereas a softer mattress is better suited for those with wider hips, since it allows the spine to remain neutral. In their quest to relieve pressure, many side sleepers will pull a pillow under their shoulders and chest, which encourages poor spinal alignment. A pillow between the knees can alleviate low back pain to some extent, but it’s not a permanent solution. Have you ever woken up to find one of your hands totally numb or a tingling sensation in your arm or leg? If so, your mattress isn’t providing enough pressure relief and is restricting normal blood flow. Over the course of the night, these pressure points can cause you to toss and turn, waking up dozens of times as you attempt to find that comfortable sweet spot. Sleep is a critical restorative phase of our lives – a time when your body is recovering and repairing all of the day’s damage. When deep sleep is constantly disrupted, you’re body tells you in numerous ways. Fatigue worsens, a mental fog sets in, and you’ll find yourself more forgetful than usual. In the end, eight hours of sleep on a poor mattress feels like one or two. Fortunately, there are dozens of advanced bedding options that help you fall asleep faster and experience increased REM sleep. 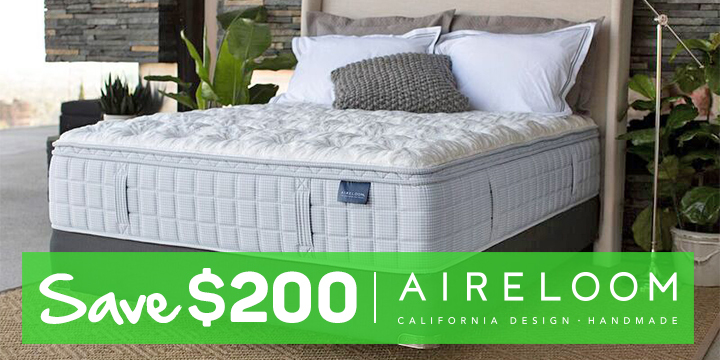 Innovations in mattress technology, materials and design lend themselves to a calm sleeping environment void of pressure points and disruptive movements caused by a restless sleep partner. If you suffer from painful tendons and ligaments (fibromyalgia), you may find relief with a memory foam mattress that reduces pressure points, conforms to your body and offers excellent support. However, “hot” sleepers may fare better with an innerspring or even latex bed, since memory foam does not dissipate heat as well. Innerspring mattresses – whether firm or pillow-top – are generally ideal for extremely overweight individuals as well as those with temperature regulation issues. It’s estimated that more than 60 percent of menopausal women suffer from sleep problems caused by hot flashes and night sweats. In terms of a more cooling sleep, latex mattresses are equivalent to that of innerspring beds, but with a much longer lifespan (20+years). 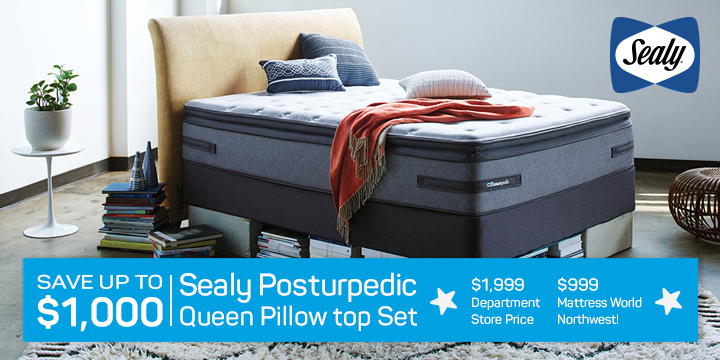 Here at Mattress World Northwest, our sleep specialists bring decades of experience to the table, helping hundreds of satisfied clients achieve that elusive night’s rest. Whether you suffer from arthritis pain, lumbar issues or another health condition, we can help you choose the right mattress to get the sleep you need. We’re confident our high quality products and professional customer service will exceed your expectations.